What is Boxing for Exercise? You don’t have to be a fighter to want to get into boxing. You can either learn traditional boxing, or you can attend boxing exercise classes which use boxing techniques to gain fitness and lose weight. In these classes you will be taught how to shadow-box, how to work with punch bags and other stamina-improving activities such as bench-pressing and press-ups. Men and women can both get into boxing for exercise and it doesn’t matter how big, small, strong or weak you are. An added benefit of boxing is that you will feel a lot more confident that you can handle yourself in a threatening situation. It’s no wonder so many people are getting into it! Boxing is cardiovascular which means your heart will get a great workout every time you box. This will lead to a stronger, healthier heart. Because it is an aerobic workout you will take your body to extremes where it will lose a lot more weight. Boxing is also very good for toning muscles and making you leaner. Many people find that the weight drops off as soon as they start boxing – because you are enjoying yourself so much while you are doing it you can take your mind off the fact that you are exercising at all. Most local gyms will be able to tell you how to get involved in boxing for exercise. Many local sports centers run classes as it is such a popular form of exercise. 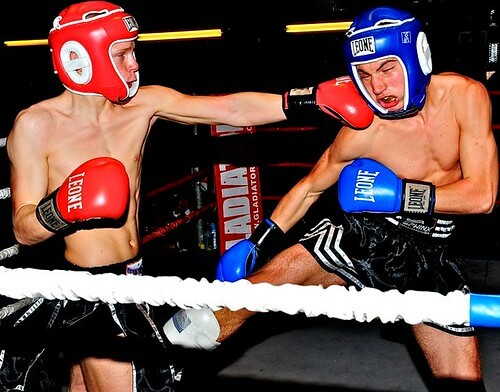 If you find that you have a flair for it once you get involved, you may well want to get into normal boxing. The skills you will pick up during the classes will stand you in good stead for this. Have a look online and see who is offering boxing classes near you. You can borrow any equipment that you might need at the class itself, so all you need to do is turn up in sneakers and workout gear. The rest will be provided. The more you get into it the more you might be tempted to purchase your own equipment so you can practice at home – but your instructor can tell you more about this. Boxing for exercise is a fantastic way of losing weight, getting fit and building your confidence, with the added bonus that you will meet lots of new friends along the way! Jane McCarthy is a mother of two who often writes for Grants MMA, a gym based in Ontario. She enjoys spending time with her family when she gets free from work.